If you head North, Yountville is a great place to stop and get fresh oysters or a a croque madame at Bouchon. Drive about 10 minutes longer and you are at one of my favorite standards, Rutherford Grill. The Nice salad and the grilled fish of the day is my go to meal. If your budget permits, stay at Solage Calistoga for an incredible overnight stay. Solage is the hip spa /resort located on 22 acres in the heart of Calistoga. Part of the Auberge Resort family, Solage is a bit more relaxed and affordable than Auberage Du Soleil in Napa. The Michelien rated Solbar on the property is a great place to eat in the bar, in the dining room or outside in the sun. The Lucky Pig is enough food for two and is super satisfying with slow roasted pork, sesame seed crepes, a myriad of topings including fresh mint, cilantro, lime, roasted peanuts and various sauces. One of the amenities at Solage are the two cruisers that you can use during your stay. Ride all around Calistoga and there is no need to lock your bike, with the Solage license plates to identify them, lost bikes are returned back to the resort. Sometimes we forget that the Bay Area and Napa Valley is a worldwide vacation destination and it is in our backyard. 70 miles from Oakland to Paradise! Vintage picture of Indian Springs. Indian Springs was established in late 1800's and was renamed Indian Springs in 1988, when the Merchant Family purchased this historic spa. Photo from Indian Spring's website. As the cost of living increases, people are thinking twice about summer vacations. One of my clients told me a horror story about a Spring vacation in Hawaii. Apparently the airline in which she purchased round-trip flights, went out of business and she was forced to purchase costly one way visits to get home to the Bay Area. Keeping the economy in mind, I am looking to take mini vacations to local destinations. 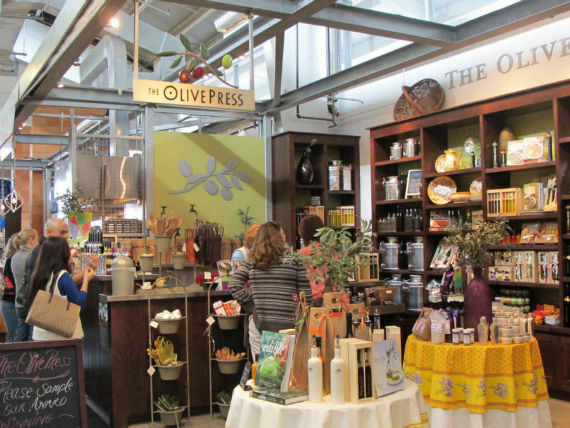 70 miles away is Calistoga, a quaint town with restaurants, spas, and wineries. My mother, who also grew up here in Oakland, told me about the huge family vacations spent in the Calistoga area. She and her extended family would drive up to Calistoga and rent little cottages and swim in a big pool filled with Geyser water. She told me that when the pool was filled with the fresh geyser water, all of the kids were antsy while waiting the day or two for the pool to cool down. The women would enjoy mud baths and apparently one of her aunts was stout and got stuck in the mud! It took 3-4 people to pull her from the mineral rich mud. I had heard from friends that Indian Springs Resort in Calistoga is fantastic, but I had to see for myself. Upon arriving at the resort on a very hot July day, we were happy to see a very clean, remodeled room in the lodge with private patio. The room was complete with a small plasma tv and free HBO. (It has been awhile since I've experienced free HBO, since large hotels want you to purchase the in-room movies.) The room had soothing colors with Frette sheets and extra comfy beds. After hanging out in the room and patio, and a yummy meal at Brannan's Grill, ( a few blocks away), my husband and I relaxed in a lounge sofa on the well maintained grounds. We felt as if we were far from home and away from it all. Once we gained more energy we headed to the olympic size pool filled with warm geyser water. We were thrilled that the pool was warm and dark. It was amazing to swim at night with only the lights of the Pepsi-Cola vintage wall clock and a few lights surrounding the cabbana and bathroom area. As we floated in the pool we could hear crickets and we were visited by a small bat that flew overhead. Ordinarily, I would be put off by bats, but for some reason, this time I was okay. The next day, I walked down to the coffee roastery and ordered a couple of breakfast sandwiches and prepared for a day in the spa. The spa was great! It had a combination of full service, in a clean, no frills environment. Because of the steam from the mud baths some of the paint was peeling off the walls, but this did not make me feel like I was in a second rate establishment, it actually added to the charm. (I could of been in any decade, just a timeless design.) After I was removed from my mud bath from a really nice women named Lili, I was directed to take a shower and and was assisted into a claw-foot tub filled with mineral water. Here was given a tool to clean the mud out of my nails and cold spring water to drink. The next relaxing task on this spa journey was a steam, followed by a brief rest with cucumbers on my eyes,ending with a deep tissue massage. Spa guest have complete use of the pool plus access to Buddha's Pond, a private relaxing area with small ponds of water, beautiful landscaping, and areas to sleep, meditate or sun-bathe. I counted 3 lizards that crossed my path, as I walked Buddha's pond. Spend a day or two up here and you will be refreshed from your daily grind of living. On your way home to the Bay Area, stop at Rutheford Grill and enjoy the grilled fresh fish and cole slaw. If you are up for dessert try the strawberry shortcake. The service is friendly, the food is fresh, there is a full bar and atmosphere is the perfect for your transition from fantasy world back to the real world. Visit Indian Spring Calistoga, at www.IndianSpringsCalistoga.com. This resort is kid-friendly, I plan on bringing my kids soon! If the spirit moves you and you want to quick get-a-way, Monterey is only an hour and a half away from the Oakland and Berkeley area. When you are here it feels like a different world. There is historic Cannery Row, areas to walk and ride a bike, restaurants, and the beach. The other weekend the family and I went to Monterey to try out a The Monterey Plaza Inn. The rooms are scrumptious and there are high end amenities such as the spa, several restaurants and fantastic room service that will do special orders such as strawberries and whipped cream. Although this hotel is Bay front,there is no private beach or hotel access to play in the water. Additionally there is no pool. Monterey is a great place to take the family, but with no pool or immediate beach access, The Monterey Plaza Inn might not be the hotel for the family. The Best Western in Monterey is beach front with direct access and a pool! The rooms and restaurant are not as nice as the Monterey Plaza Inn, but when I stayed there last year I found the hotel quite charming. Check out my previous post on Bay Area Destination. This year take the time to explore the Oakland and Berkeley area. When you purchase a home, you are not only buying the house, you are also buying the neighborhood and city. Making my Bay Area destination list is Indian Rock Park in Berkeley. This was actually donated to the City of Berkeley by Mason McDuffie in 1917. Whether you want to rock climb or watch unparalleled views of the San Francisco Bay this is a must see. This beautiful photo is from Catherine who posted this on the Yelp website.